As the dog days of summer swelter by, Austin residents have escaped the worst of this year’s summertime drought conditions, although patches of dry areas and moderate drought continue around the city area. Conservation Stage restrictions remain in place for residential and commercial water usage. This includes washing and detailing cars. Cars may be washed using a bucket or auto shut-off hose, and commercial car washes should meet all water usage and equipment requirements. One thing you should be aware of is that washing cars does allow contaminants into the eco-system. Oil and grease from vehicles can wash into waterways, harming plants and aquatic life and disturbing recreation areas. Soaps can cause algae blooms, which eventually leads to fish kills and smelly, bad-tasting drinking water. Dying algae can also clog storm drains and result in flooding. 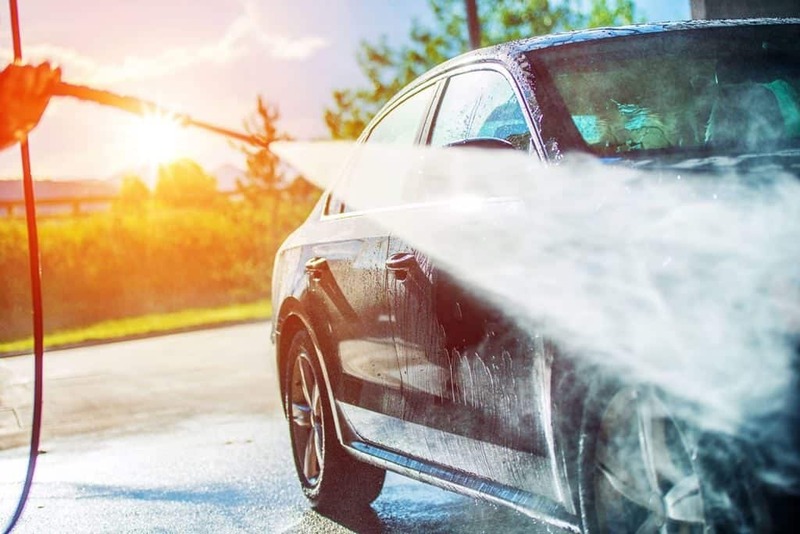 This is why local water conservation regulations require large scale car washing events such as charity car washes to be performed in a commercial car wash that meets efficiency requirements in order for the parties involved to avoid being subject to fines. Several car washes in the Austin area offer partnerships with local organizations to raise funds through the use of vouchers. Commercial car washes are better for the environment because of their efficient equipment and because they reclaim water from the car wash. 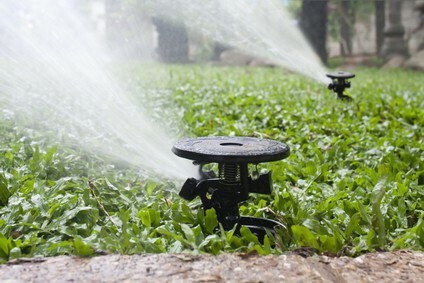 Remember, if your irrigation system has a problem, South Austin Irrigation is the place to call at (512) 534-7449. Last summer, some Austin residents received sky-high water bills that city water department had calculated using inaccurate data. Unfortunately, because Austin Utility was ill-equipped to deal with the situation, many of these residents’ complaints are still caught in an administrative morass. But relief may be on the way. According to a recent Statesman report, these residents may get a chance to clear up the mess. So could other households that their find future water bills went awry. Earlier this month, City Council Member Ellen Troxclair, in tandem with Austin’s water department, proposed that the city offer deep discounts to affected homeowners. This would apply to all situations where the city could not find any specific cause — such as a leaky or broken pipe — to account for the spike. Specifically, her proposal would target situations where a resident’s water bill more than tripled on a specific bill. If Austin Utility could not immediately find an obvious cause for the increase, it would cut the extra water use listed on the bill in half. If enacted, the proposal could reduce some abnormally high water bills by as much as 75%. This is because Austin’s current water rates are “tiered.” This means they rise substantially at higher thresholds of water use. The one catch is that customers could only file an appeal once every two years. Some council members have expressed concern that some residents could try to somehow “game” the system for their own benefit. But Troxclair countered this claim with assurances that her proposal has enough fail-safes to guarantee that no one could take advantage of the situation. Last year, approximately 3.4 percent of Austin city water meters produced incorrect readings. Only a tiny handful of the individuals affected decided to go through with a lengthy and expensive appeals process, which requires both parties to engage lawyers. Book an inspection of your irrigation system today. 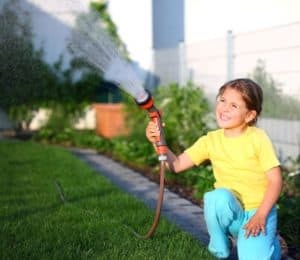 Call South Austin Irrigation at (512) 534-7449. Back in July, Texas was out of drought danger altogether, but the summer has brought new water woes. The state has gone from 3% abnormally dry a few months ago to almost 60% abnormally dry or worse today, per the U.S. Drought Monitor. While Lake Travis has maintained its water level of around 667 feet from a low in January of 623 feet, southern Travis County is again in the lowest form of drought – abnormally dry. There is some good news in that there is an anticipation of having a wet fall and winter. So Austin’s decision to remain at Stage 2 water restrictions was a wise one. It is official! The state of Texas is out of drought. 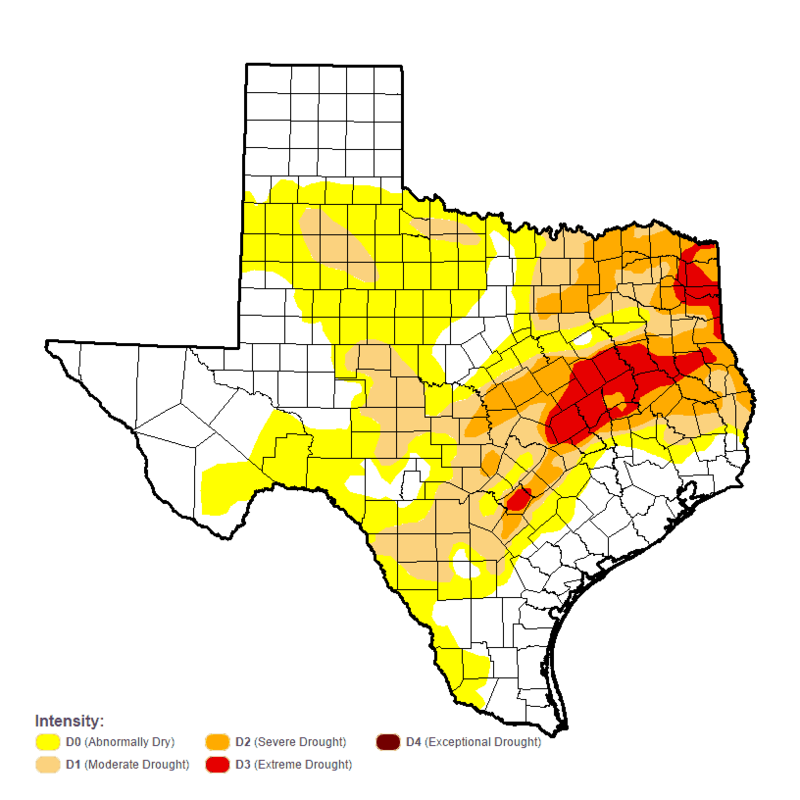 According to the U.S. Drought Monitor only 3% of Texas remains “abnormally dry,” the lowest level of drought, with the rest of the state out of danger. However, Austin Water is continuing Stage 2 Water restrictions because summer is the hottest months and reservoirs are still not up to capacity. 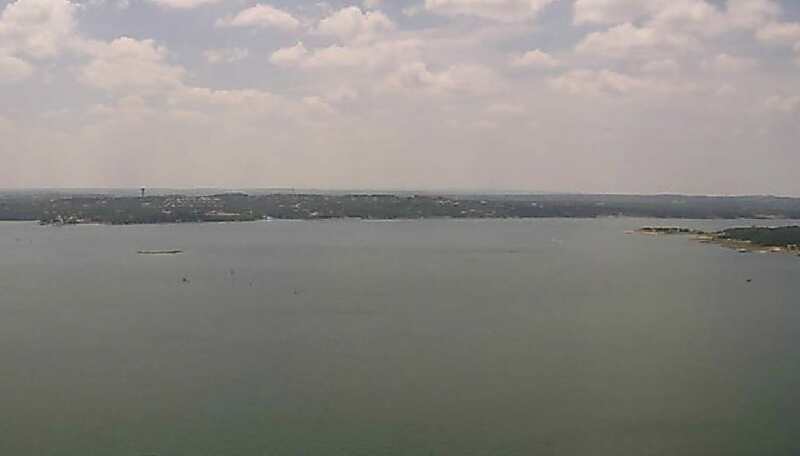 A spokesperson for Austin Water told KEYE-TV that “in the summertime, we typically we have high evaporation from the lakes so the city wants to be a little conservative.” He also said that Texas hasn’t recovered from the years of drought. So make sure you keep to your watering days as Austin Water is still enforcing the restrictions. In June, 44 citizens received citations for not doing so. That is significantly down from June of last year.